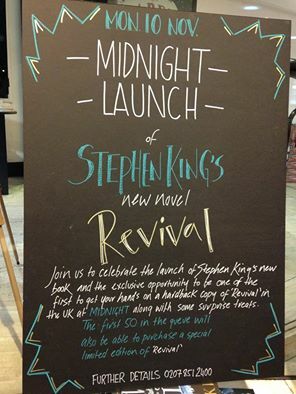 It is anticipating time once again, with only a few short days until the launch of King’s latest novel REVIVAL. This is supposed to be the “most terrifying conclusion Stephen King has ever written.” Here is all the pre-launch content in case you may have missed it. King on the TODAY show discusses Revival. Interview on Bangor Daily News. “A spectacularly dark and powerful novel about addiction, religion, music and what might exist on the other side of life.In a small New England town, in the early 60s, a shadow falls over a small boy playing with his toy soldiers. Jamie Morton looks up to see a striking man, the new minister, Charles Jacobs. Soon they forge a deep bond, based on their fascination with simple experiments in electricity. Decades later, Jamie is living a nomadic lifestyle of bar-band rock and roll. Now an addict, he sees Jacobs again – a showman on stage, creating dazzling ‘portraits in lightning’ – and their meeting has profound consequences for both men. Their bond becomes a pact beyond even the Devil’s devising, and Jamie discovers that revival has many meanings.This rich and disturbing novel spans five decades on its way to the most terrifying conclusion Stephen King has ever written. It’s a masterpiece from King, in the great American tradition of Nathaniel Hawthorne and Edgar Allan Poe. There is news that King will be appearing as a guest on The Today Show this Tuesday, November 11th. Stay tuned for more information. We will post a video here as soon as we have it. StephenKing.com is proud to announce that PrepareForRevival.com is now online. As Revival is perhaps Stephen’s darkest novel to date, some Constant Readers may wish to take some time to prepare for the experience of reading the story. Prepare for Revival is intended for Stephen’s fans to explore the dark side of the human condition in anticipation of reading the novel. Prepare for Revival invites you to explore and anonymously share your innermost thoughts on the major themes contained within the story. Users can safely and securely post their experiences and feelings about Faith, Tragedy, Disillusion, Addiction, Curiosity, Obsession, Death and The Afterlife. 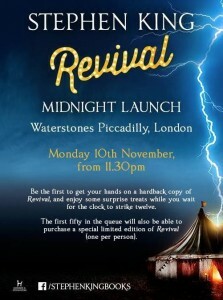 Stephen King fans will have the chance to get their hands on his electrifying new book, Revival, the moment it’s released, at a midnight launch at Waterstone’s Piccadilly. Doors open at 11.30pm on 10th November, and attendees will enjoy retro fairground-themed entertainment, snacks and beverages while they wait for the clock to strike twelve. The first fifty people in the queue will be able to purchase the Revival Collector’s Set – a limited edition hardback with deluxe binding, slipcase, illustrated endpapers, author’s facsimile signature and a silver plectrum engraved with the author’s signature. 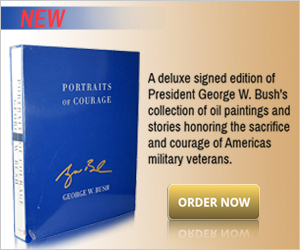 Are you excited about the new book? Leave your comments below.